American artist Lisa Houck (b. 1953) expresses her view of nature through wild and vibrant paintings, ceramics, prints, and mosaics. The creatures and plants that appear in her watercolors and oil paintings seem to be curling, swirling, twirling, and unfurling. She uses bright colors for her birds, butterflies, trees, lizards, monkeys, and fish as they live amidst the hills, buildings, or waves. Houck uses a combination of bold textures and soft washes of watercolor to make some parts stand out and other parts fade into the background. Big things seem small and small things seem big in Houck’s paintings, where a tulip or a flower pot might easily dwarf a tiny house. In Houck’s magical worlds, textures, shapes, and colors make quilt-like scenes of lush gardens and cozy towns, arid deserts and busy seascapes. 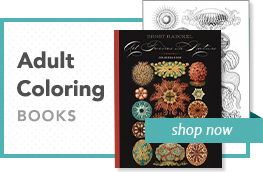 When you color in the line drawings, you can copy the colors of the original artwork shown on the inside covers, or you can come up with your own combinations. 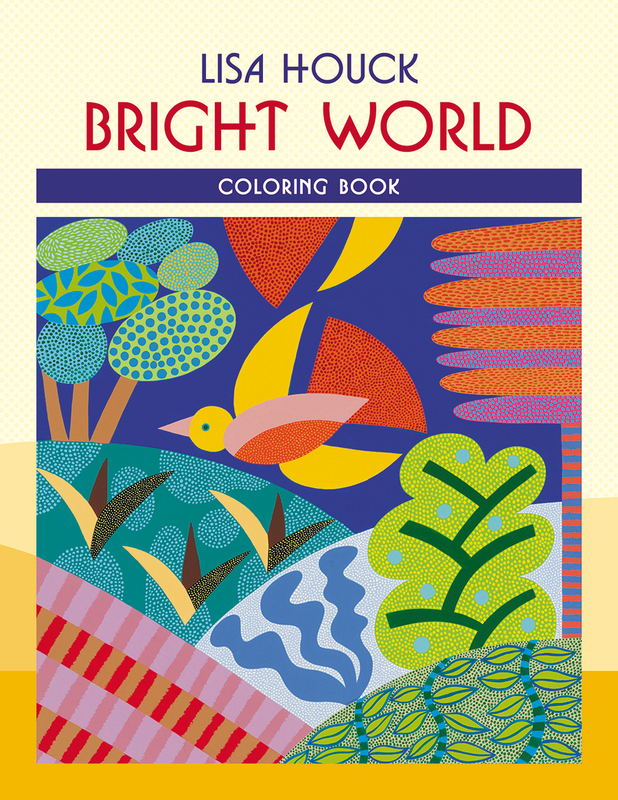 We’ve also left a blank page in the back of the book where you can create your very own bright world. What do you notice most in nature? Remember to include some dots or swirls, plants or animals, houses or hills. A Bug’s Life, watercolor, 14 x 20 in. Above It All, oil on wood, 24 x 24 in. The Garden Is Taking Over, watercolor, 9 x 12 in. Life in the Garden, watercolor, 9 x 6 in. Landscape with Lizard, oil on wood, 24 x 36 in. Being Blue, oil on wood, 10 x 10 in. My Yellow Friend, watercolor, 9 x 6 in. Landscape with Red Bug, oil on wood, 20 x 30 in. Beside the Point, oil on wood, 24 x 24 in. On the Lookout, watercolor, 9 x 6 in. Container Garden, oil on wood, 18 x 24 in. Fiddleheads Unfurling, watercolor, 9 x 6 in. Two Swallowtails, oil on wood, 20 x 30 in. The Curious Ones, watercolor, 22 x 30 in. Nest and Nuthatch, oil on wood, 20 x 20 in. Landscape with Visitors, oil on wood, 24 x 36 in. The Edge of the Woods, watercolor, 9 x 6 in. Small Town Life, watercolor, 6 x 9 in. Showy Species, oil on wood, 18 x 24 in. Urban Woodpecker, watercolor, 9 x 6 in. Short and Sweet, oil on wood, 22 x 30 in. Welcome to My House, watercolor, 22 x 30 in.